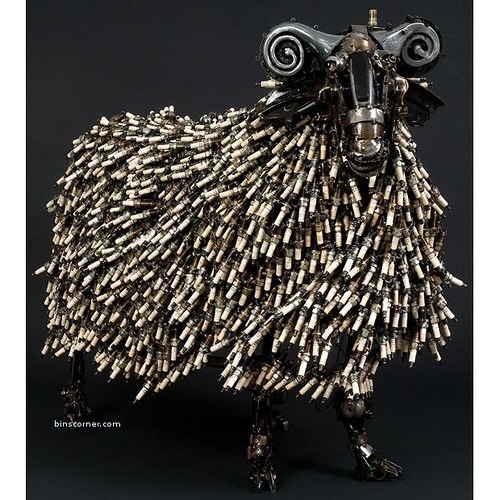 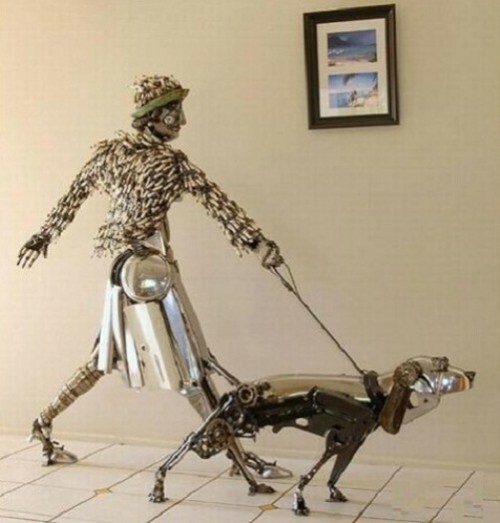 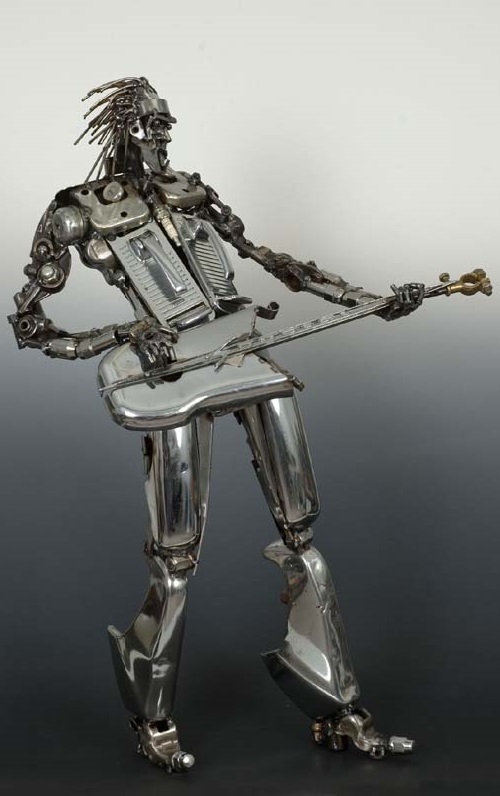 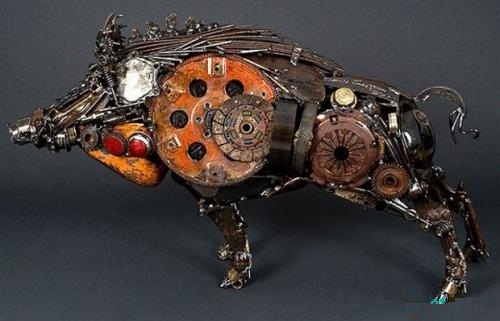 Australian artist and sculptor James Corbett, from Ningi, Queensland, creates unique artworks from car parts. 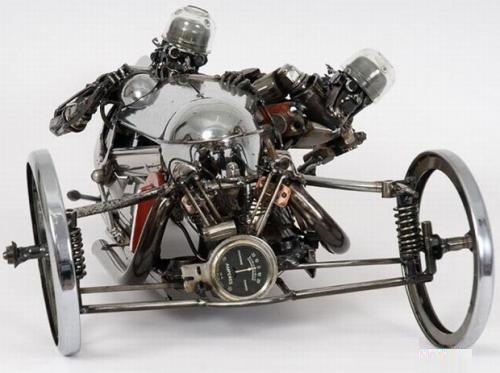 Nothing is bent into shape; the original integrity of each car part is maintained. 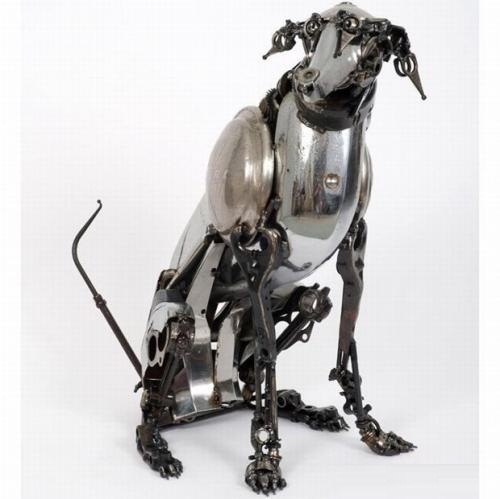 “The parts themselves are often interesting, some are as much as eighty years old”, says James Corbett. 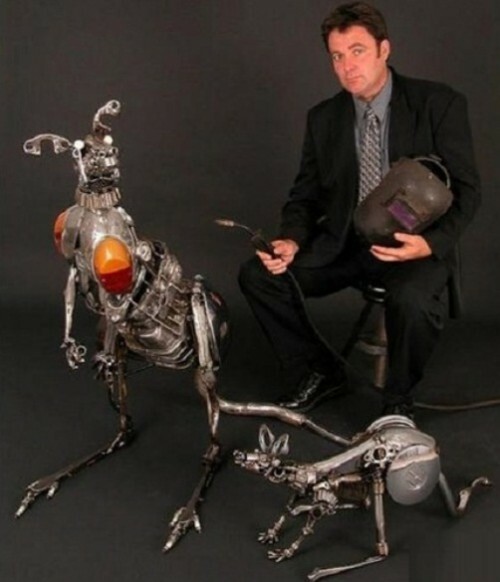 Since 1999 Metal sculpture by James Corbett has been successfully participating in exhibitions in Australia, England, Switzerland, New Zealand, Japan, the United Arab Emirates and the U.S.A.
James discovered his talent for creating his amazing pieces of art whilst running an auto recycling business in Brisbane . 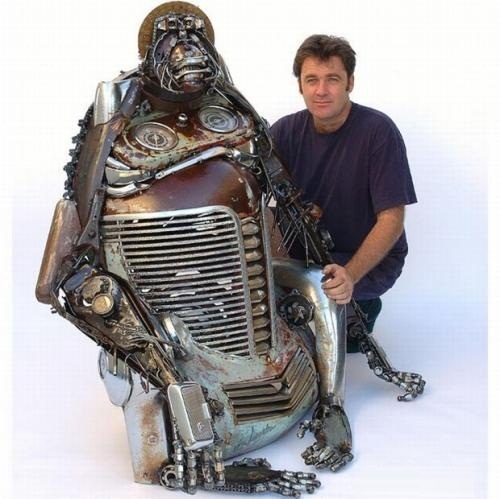 His first piece was an off road race buggy, inspired by a sport James had participated in for some ten years. 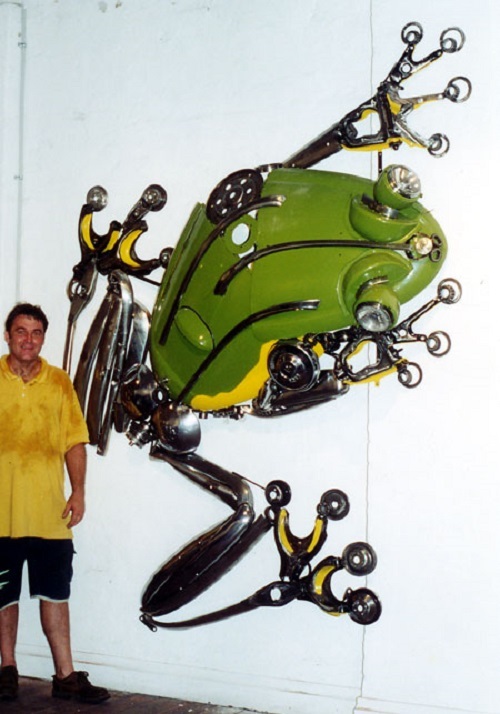 The response from friends and customers was so positive that he was encouraged to create more pieces; cars, bikes animals and birds, all of which sold readily. 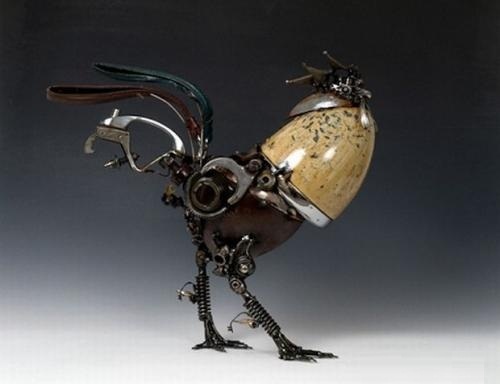 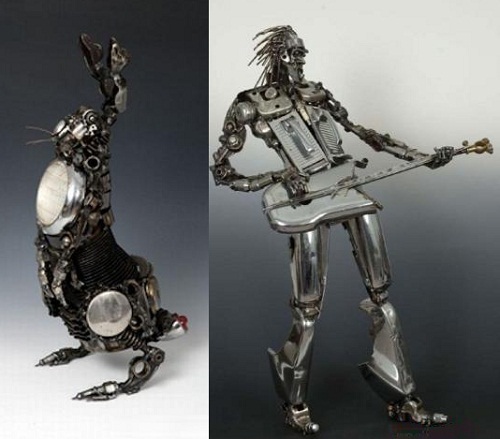 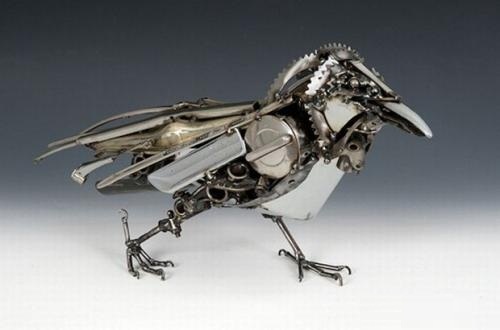 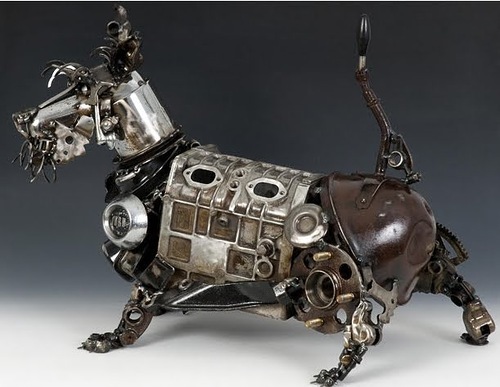 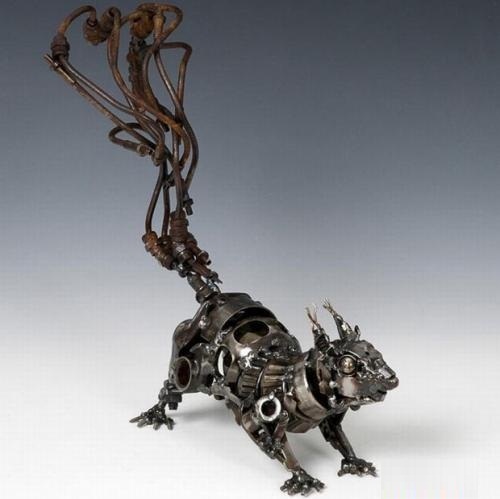 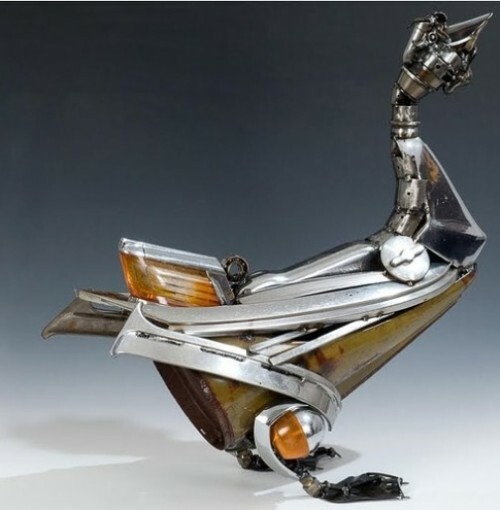 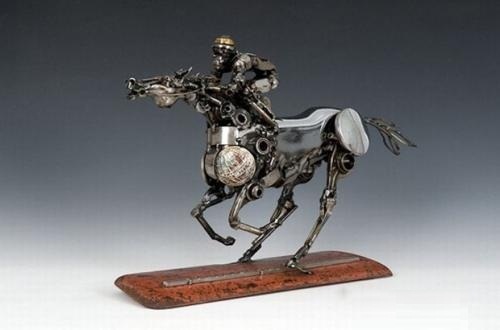 James likes to incorporate old and interesting car parts into his sculptures. 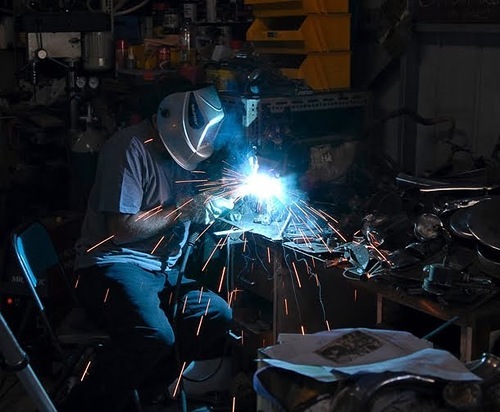 Nothing is bent into shape; the original integrity of each car part is maintained. 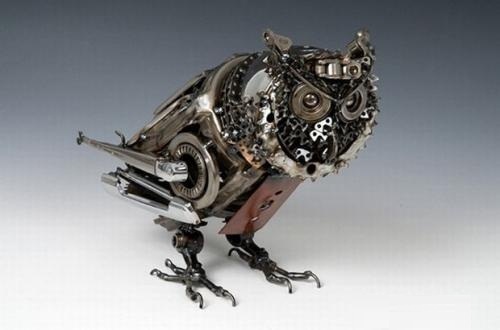 “The parts themselves are often interesting, some are as much as eighty years old”, says James.